What is a Green Drink? 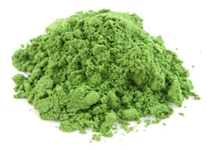 Simply put, a Green Drink is a powder or capsules of young grasses, green vegetables or leafy greens that are super-concentrated with the most nutrient rich ingredients. Regularly drinking Green Drinks plays a massive part in becoming and staying alkaline! Working in this constantly hectic world, many of us are missing out on vital vitamins and minerals, because we do not consume enough greens. As a result, we are feeling sluggish, low in energy and our immune system is weak. Green Drinks help us to revitalise and bring our energy-levels back. If you love the feeling that you can work all day and still have enough energy to carry on, then get yourself a Green Drink. A single portion of Green Drink can contain as much nutritional value as 2 pounds of green fresh vegetables! They are also rich in chlorophyll, which in its chemical composition closely resembles haemoglobin – the blood builder. The vitamins, amino acids and minerals in a single Green Drinks can easily be absorbed by our body; and hence provide fast and efficient energy. 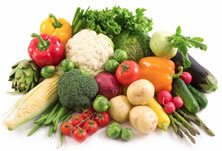 The Alkaline Diet says to eat mainly alkaline foods and where possible cut out the following: sugar, unsaturated fats, caffeine, alcohol and meat. The best way to do this is by following an alkaline diet - download the free Simplexhealth alkaline food chart here. Once you have used it for a while and have recipes under your belt, it is really easy to follow. Many of our customers claim that the results from following the alkaline diet can be mind-blowing; they had bundles of energy, a much stronger immune system and it helped to shift the extra pounds. Green Drinks are a great way to supplement the 80% alkaline in your diet. They are super alkalising and by a daily intake of your favourite Green Drink 3 times a day, you can notice the impact. They are easy and quick to make, especially when at work or out-and-about. Using Green Drinks, saves time chopping, juicing and cleaning to make a green juice. Green Drinks contain a variety of vegetables, roots, young grasses (ie barley, wheat) and herbs, which not all of us have readily available to make a fresh juice! We have only picked good quality brands of Green Drinks to sell on www.simplexhealth.co.uk. To find out more about our Green Drinks on offer click here. Choose a Green Drink where the ingredients have been preserved carefully (ie. with low heat dehydration) so the nutrients are being preserved – not killed! A good Green Drink should include a range and variety of grasses, vegetables and maybe even some herbs. At least some of the following should be included: Wheatgrass, Barley Grass, Watercress, Soy Sprouts, Alfalfa, Kamut Grass and Broccoli Sprouts. Make sure it is sugar-free! Oddly, some Green Drinks (especially some available on the high street) contain sugar, stevia and sweeteners. Added sugar makes it more acid so what is the point in that? The rest is down to taste and personal preference. Green Drinks do have a distinctive taste, and it can take a little while getting used to it. Trust me though, once you are used to it, your body will crave a Green Drink more than sugar! Add some freshly squeezed lemon juice to your Green Drink to help you get used to the taste. SimplexHealth.co.uk offers a range of high quality Green Drinks, which have been specially selected for their ingredients and goodness, click here for more information. When you start with Green Drinks, increase your dose slowly to get yourself and your body adjusted. In the first week, half the dose which is recommended by the manufacturer. Because Green Drinks are so powerful, some may experience similar symptoms as during a detox at the beginning. This may include slight dizziness and mild headaches. Don’t stop though – persevere! Before you know it, you will feel the benefits and feel much more energised and the cravings for caffeine, sugar will subside (it is all in the mind!). Mix your Green Drink with alkaline water to increase the benefits for an alkaline diet. You can simply do that by using water with a high pH or by adding pH drops to the water. If you find the thought if drinking 2-3 litres of water a day daunting, then start with a smaller target of perhaps 1 to 1.5 litres per day. There have been many more benefits attributed to Green Drinks, as they instantly alkalise your body and reduce excess acids. Some include the treatment of cancers, cardiovascular diseases and mental illnesses. Green Drinks have also received endorsements by some athletes, body-builders and celebrities. As ever, please satisfy yourself with the potential benefits to taking green drinks and discuss any dietary changes with your doctor or a trained physician before embarking on a new lifestyle. Another convenient way of improving your blood and blood cells and hence your feeling of well-being is by consuming super-rich liquid Chlorophyll.